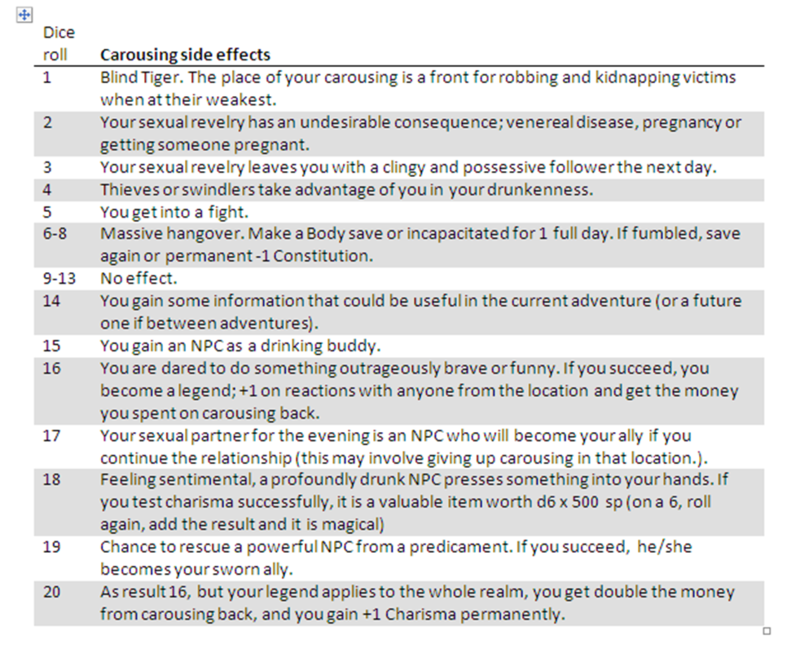 Roles, Rules, and Rolls: Experience: Carousing, Inc. It began with "Orgies, Inc." (we'll never see the days of R-rated Max Fleischer-style cartoons in mainstream gaming material again, I'll wager). 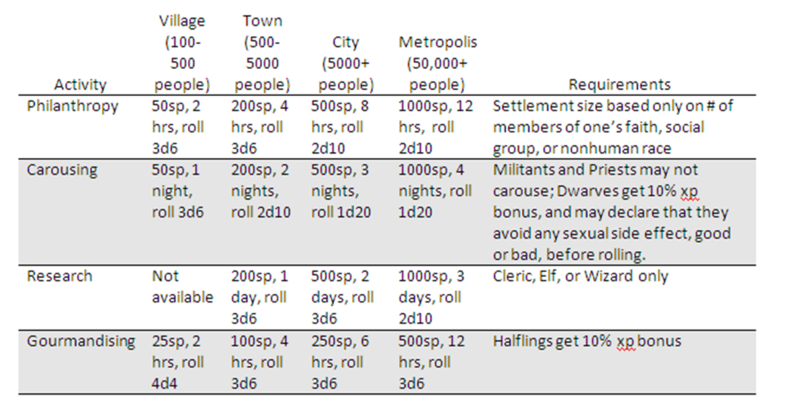 Or perhaps it began as Dave Arneson's house rules which involved spending on, um, "pleasure slaves." 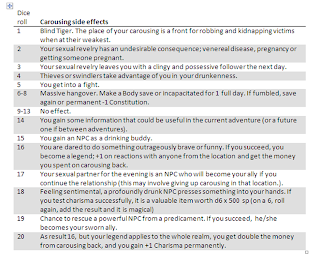 Anyway, the concept of carousing away treasure to earn extra experience has gained a foothold in Old School house rules, such as here, here and here. 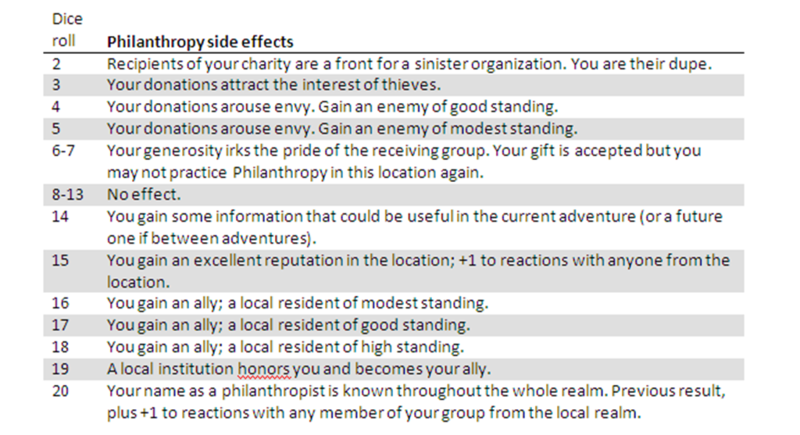 The original idea was to substitute carousing for xp from treasure, but I also think the two work fine side by side. This way they can spice up the characters' life and gain 2 xp on each coin, or gain 1 xp and spend the coin for goods. 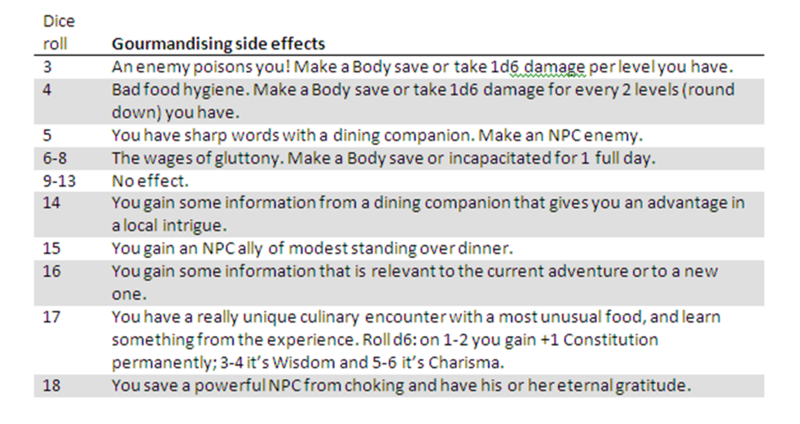 This helps keep treasure in line with reasonably "hungry" amounts while letting characters level at a decent rate. cool tables that I shall yoink. 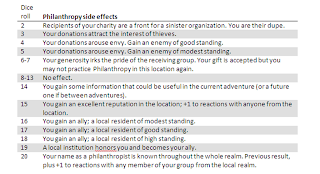 I like the specialized effect tables. I have an intuitive tug that they should only be negative results in that you are already getting an xp bonus for doing these activities, you know make them risks. But not sure. Gourmandising seems pretty close to carousing to me, but I love the idea of negative results from philanthropy. The research is a kind of general, untargetted thing, more reading in a field than research I guess? 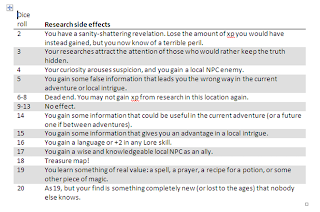 How would you handle a player that want to research something specific? For specific research, I wouldn't have it be an xp-gaining activity. The kind of research I am talking about is more dabbling or general knowledge, giving a broad based enough experience to warrant going up a level. If you want to call your shot, you don't sniff the daisies along the way. Any chance of seeing this in a single document? It makes it easier to save. Google Docs link now on the upper right, let me know if it doesn't work for you. 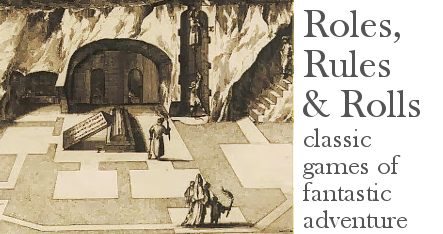 Got to this from the "OSR Links to Wisdom" page and decided to replace my current carousing, etc... rules with yours Roger. Thanks. Are these numbers based on individuals, or on the entire party? If a party of 5 carouses in a town of 500 people, could each of them spend the total 200 gold pieces, or would they only be limited to 40 each? I can't find the Google Docs link. 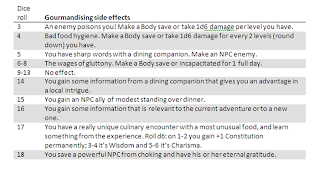 Maybe some people out there will find some of the bits usable in whole or in part. 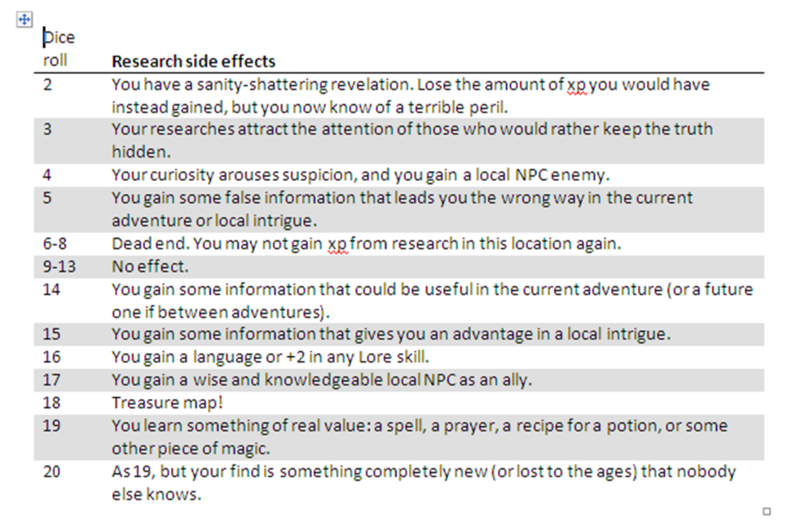 If nothing else, the printable spell reference booklets ought to be handy. Enjoy!